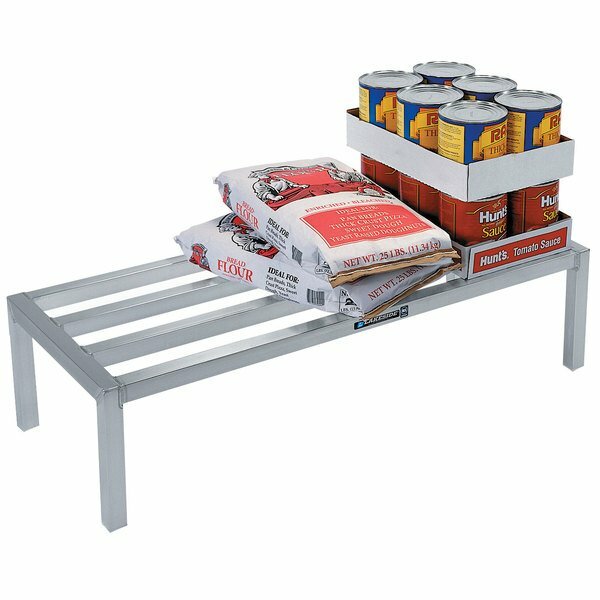 Ensure safe, sanitary storage of bulk food items with this Lakeside 9182 aluminum dunnage rack! This rack is made of durable, all-welded, tubular aluminum for outstanding strength and durability. It can support up to 1500 lb. of evenly distributed weight, making it the perfect choice for large boxes of produce, unopened sacks of dry goods, and more. 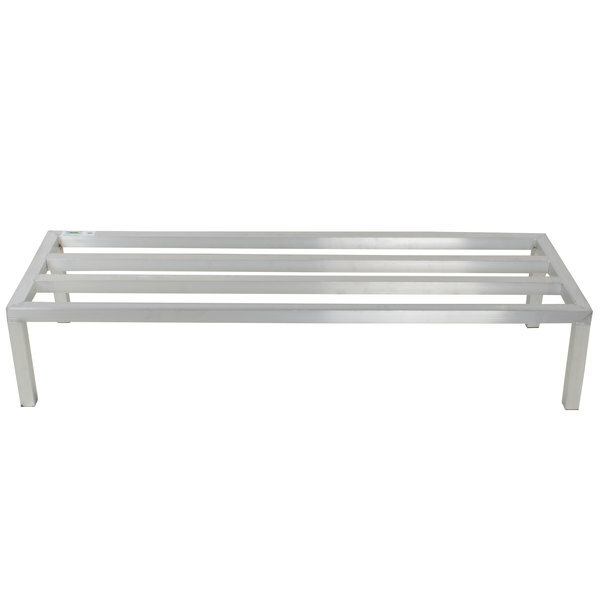 This aluminum dunnage rack is comprised of 1 1/2" x 1 1/2" extruded aluminum alloy tubes for lightweight durability. Light enough that you can move it around your storage room or cooler easily yet durable enough to support your heaviest bulk items, this rack is ideal for a variety of applications. Its 12" height makes it the perfect choice for storing food items since it complies with FDA food storage codes. Plus, the legs are capped with plastic feet to prevent contamination while protecting your floors from damage. Rust-proof and corrosion-resistant, this aluminum dunnage rack is a great choice for any restaurant, bar, or other commercial kitchen where additional, safe storage is warranted. Save Up To $89.70 with our Recommended Product! Some items on our website are not normally stocked in our warehouses. These items are marked "Special Order" underneath the price on the item's page. Please understand that Special Order items may not be able to ship within 1 business day like our regularly-stocked items.Some may be shipped directly from the manufacturer. Others might have to be ordered into our warehouse with the next order from that manufacturer and then shipped to you; this could take up to several weeks. As a result, we urge you to contact us if you have questions about the delivery time of a Special Order item you wish to order. Please note - we are not always able to cancel special order items once the order is placed. These items may also be non-returnable. Please contact us if you have any questions before ordering this item.